I had asked my Facebook people what they would like to see this year from me and one had said peanut butter recipes. Hey, I’m here to please! I’ve brought to you some peanut butter granola. It’s true. Even with my best intentions, I can crush a healthy recipe. What’s a girl that loves sweets to do? I’ll just keep on keeping on. It’s working for me. I like granola in large pieces. It’s easy to pick up and scarf down. It could easily be made into the granola that you eat as cereal or sprinkle on yogurt. Leave out the egg white and stir it while it’s in the oven. But seriously, why mess with a great recipe? Preheat Oven to 350 degrees. Line a jelly roll pan or baking sheet with edges with parchment paper. In a medium bowl, add the old fashioned oats and chopped peanuts. In a medium saucepan, add in the peanut butter, butter, and brown sugar. Turn the heat to medium and stir to combine the ingredients. Once the butter is completely melted and the sugar is no longer grainy, remove from the heat. Add in the vanilla and stir. Pour the peanut butter mixture over the oats and stir until the oats are completely coated. In a separate bowl, add the egg white. Whisk the egg white until it is frothy and white. It should take about 1 to 2 minutes of whisking. Pour the egg white into the peanut butter and oat mixture and stir to incorporate. Place the granola on the prepared pan and spread out. Make sure the granola isn't too thick, but can be mashed together some. This will help bigger chunks to form. Bake for 20 minutes and turn the pan around. Do not stir the granola. Stirring the granola will make it break apart. Bake for an additional 20 minutes and remove from the oven. Let the granola cool completely. It will come out soft, but will harden as it cools. Break into suitable pieces and store in an air tight container. Bloggers, do you want to join in on the peanut butter bash fun? If so, email me at [email protected] and request to join the Peanut Butter Bash facebook group! The first Thursday of each month we post a dessert/sweet with peanut butter and a mystery ingredient. This month’s ingredients were peanut butter and oatmeal. Here are the other peanut butter and oatmeal creations! 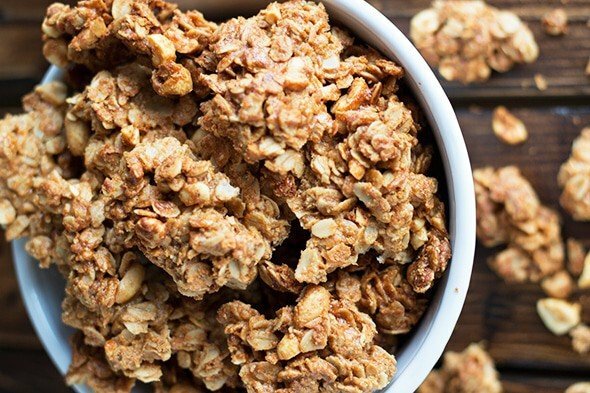 Peanut butter is always popular and this granola looks fantastic. I could grab a handful and happily enjoy it on it’s own. Thank you! Peanut butter is always popular, especially in my house! 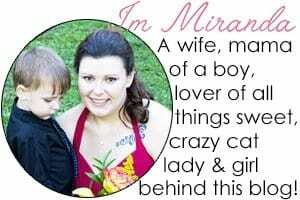 This sounds wonderful. 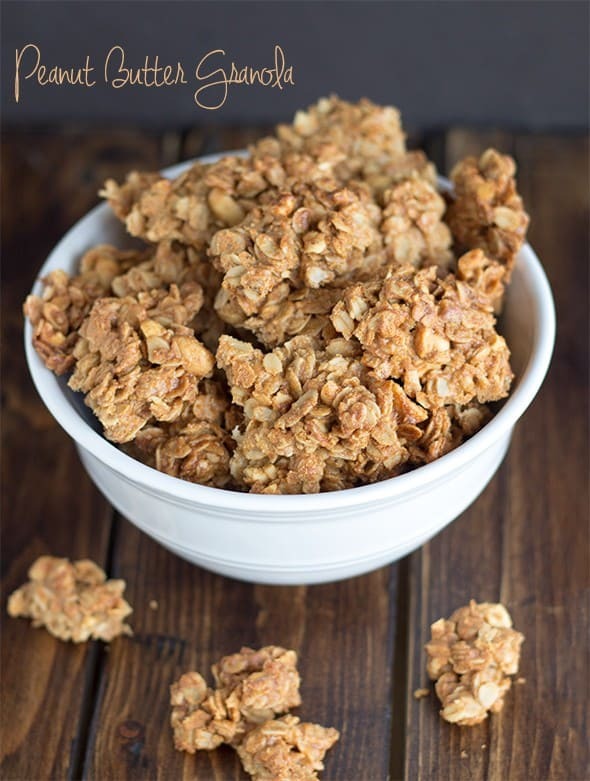 I love homemade granola and adding peanut butter and peanuts to it is like icing on the cake. Love the way yours stays in big chunks too. Thank you! I’m becoming quite the fan of homemade granola myself! Peanut butter is such a weakness for me. lol The egg white at the end really helps keep the granola chunky! I don’t think you totally crushed it’s healthiness, It’s probably still hugely better than store bought! I love your support and thinking! I don’t think I’ve ever really stopped and looked at what’s in granola from the store. I think I’ll have to check it out. Oh I do love a good granola! And I will always pretend it’s healthy. I’ve never put an egg white in mine. I’m going to have to give that a try. Lol. Pretending it’s healthy works for me! The egg white just helps it stick together to make it chunkier. 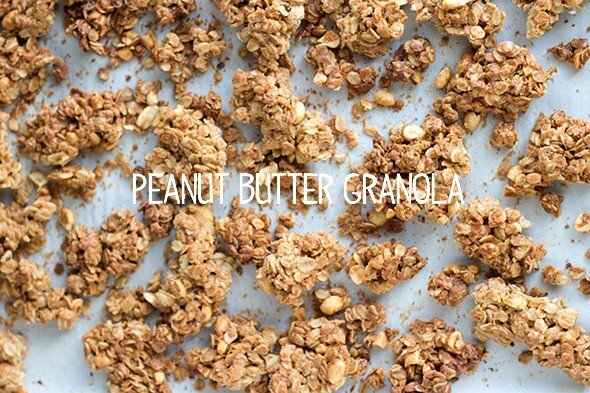 I love granola and this looks soo good! 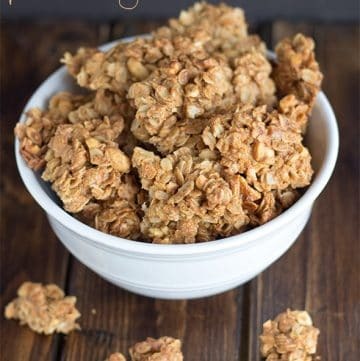 I just made some granola yesterday, it’s so much better than store-bought! I agree 100%. It is sooo much better. Peanut butter granola? what a delicious idea! This is definitely a recipe I need to make. Thank you, Adrienne! I hope you do try mine! It’s so gooddddd!